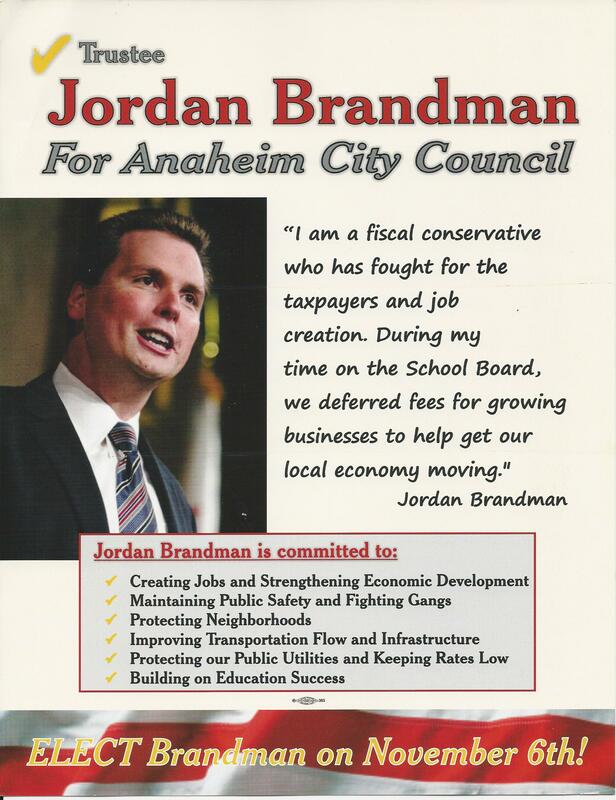 I also got a piece yesterday from the Jordan Brandman for Anaheim City Council Campaign. This piece appears to be targeting conservative voters with a very strong fiscal conservatism message. The question though is whether or not the recent GOP hit pieces have inoculated against these pieces. 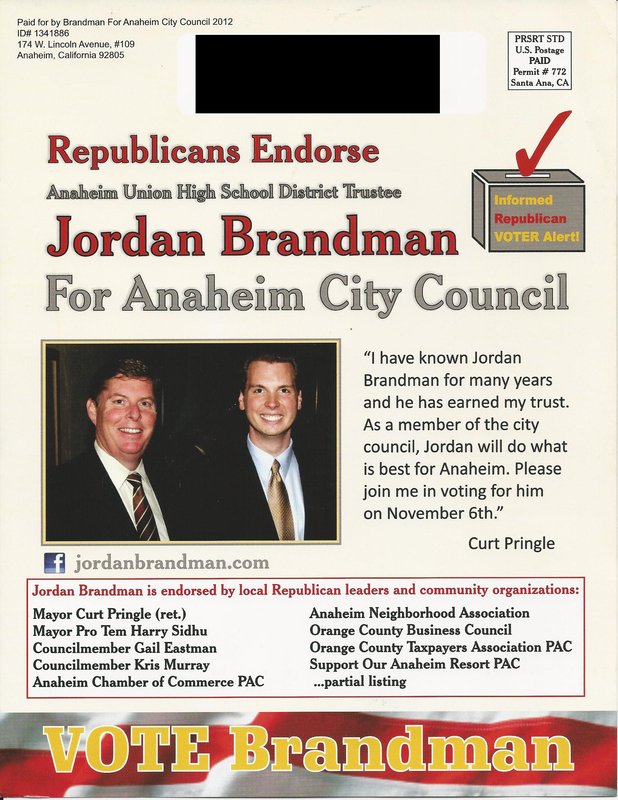 This entry was posted on October 24, 2012 at 12:17 PM	and is filed under Anaheim, Mail. Tagged: Jordan Brandman. You can follow any responses to this entry through the RSS 2.0 feed. You can leave a response, or trackback from your own site.